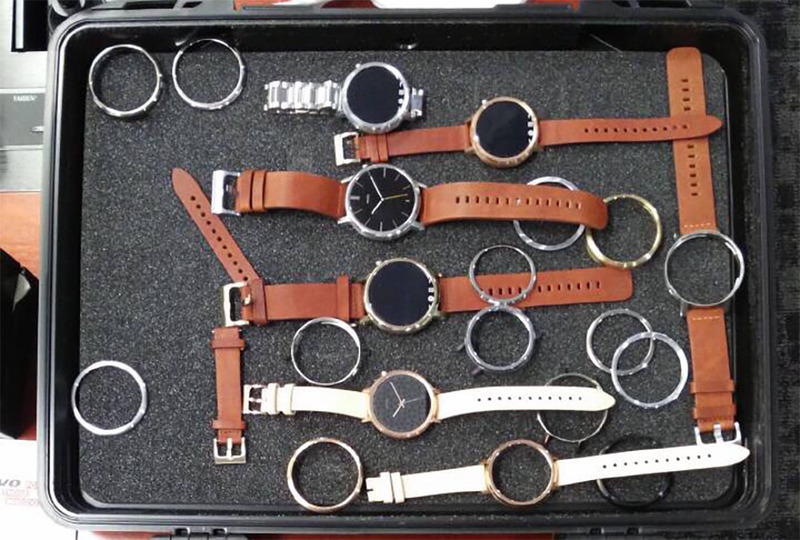 Lenovo CEO Yang Yuanqing may have just outed the brand new Moto 360. It’s tough to tell if he did so on accident or if he was trying to show the smartwatch world what he thinks a real smartwatch should look like. 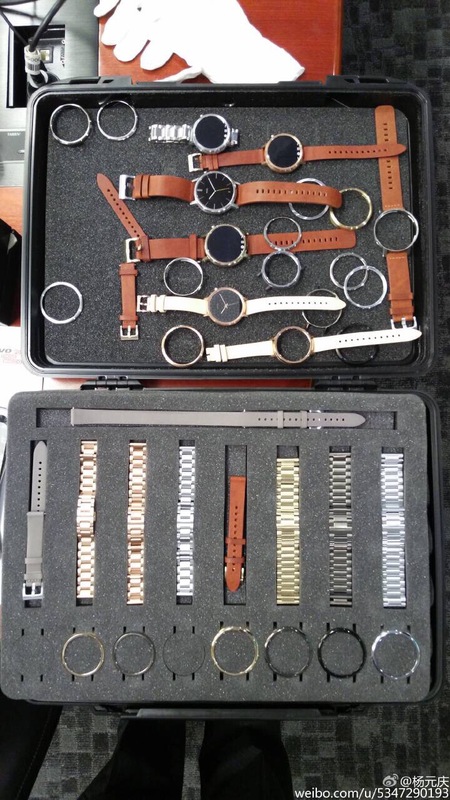 Either way, in a post to his Weibo account that was quickly deleted, Yuanqing gave us an image of a smartwatch in a variety of sizes and colors – a watch he specifically referred to as the “Moto 360” – along with a bunch of different watch bands. The quote from the post, captured by MyDrivers, translates roughly to, “Moto 360, matching the arrival of the era of freedom, our store in the future to increase the function of the watch shop.” That doesn’t tell me much personally, but the image itself does. In the image above, you can see a watch that looks similar to the original Moto 360 except it now has lugs attached to its round body that hold watch bands. The original Moto 360 has no lugs and instead hosts watch band attachments underneath the body of the watch. Adding lugs does help the watch look much more like a classic timepiece, which is what Motorola claims they were going for with in the original. The original Moto 360 may have the round body of a classic watch, but the hidden watch band attachments give it a much more modern feel. This on the other hand, does indeed look like a refined timepiece. We are seeing new classic gold and dark grey colors alongside the current colors of silver, black, and champagne gold. It seems that Motorola may also be making making each in varying sizes. As you know, the current Moto 360 only comes in one body size, but has optional thinner bands. With the Moto 360 (2nd gen), it seems we are getting both big and small watch bodies. Is that the dreaded Moto 360 black bar I see? The flat tire? Did Motorola really bring that back? Each watch seems to be featuring components towards their bottom chins that would lead me to believe that the flat tire is there once again. Now, we know Motorola does this to control screen brightness automatically, but you and I know the mixed reaction given to the area on the original. 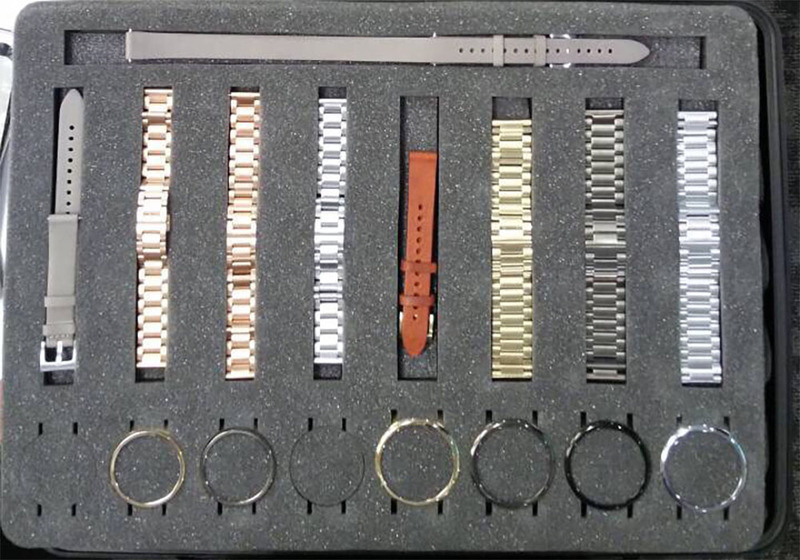 Finally, it looks like we may get a traditional gold watch band to go with the new gold color as well. And here is the original image that Yuanqing posted.